For those who eat it, bacon is delicious. In the past few years, however, bacon has become kind of a saturated fad. There for awhile, it was showing up in everything- chocolate bacon, bacon rice-krispie treats, bacon martinis, bacon tattoos, bacon everything. I was starting to have bacon fatigue. Pumpkin-flavored things saw a similar fate this past fall. Because of this, I basically stopped eating bacon- except on special occasions. I’m trying to lower my carb/sugar intake and bump up my protein/veggie consumption. And I’m doing a pretty good job, too! One of my favorite dishes is meatloaf. I know opinions on meatloaf vary and some people vehemently dislike the color, the taste, or the concept… but it’s aces in my book. For, not only do you have meatloaf… but you have meatloaf leftovers. In former days, this meant making an open-faced meatloaf sandwich on white bread with mayonnaise… but, nowadays I’m celebrating its protein-y goodness and cutting out the white junk. Everyone has their version of meatloaf that they like; some with oats, some with breadcrumbs– or maybe one that tastes closest to your moms recipe. This post isn’t about meatloaf, though. 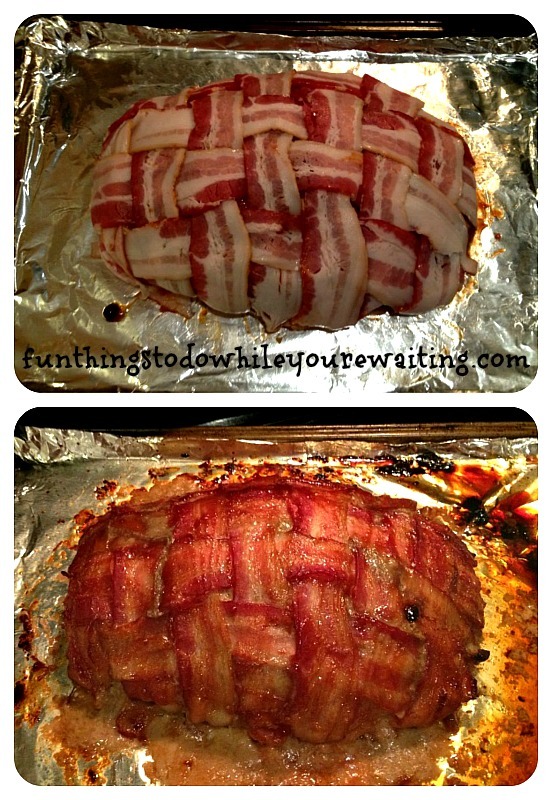 * This post is about bacon basket weaving. Our meatloaf recipe calls for bacon to be draped across the loaf width-wise before baking. In makings in the past, that is what we had always done. This time, however, I wanted to try out something different that I had seen on Pinterest, of course. The pin I had in my “Stuff” board showed a picture of a BLT sandwich and instead of the bacon tossed on top, it was woven in a basket weave effectively covering the entire area of the bread. The pin took me a GREAT article on Buzzfeed. The article is titled, “22 Things You’re Doing Wrong.” Number ONE on their list of things you are doing wrong is making BLT sandwiches. ** It basically just shows you weaving bacon together, placing it on an oven rack and baking it. Since I’ve already established that Baking Bacon is one of my favorite things, you’ll know that this idea appealed to me. Although I haven’t tried the BLT version, I DID use the technique on our meatloaf… and y’all… total success. I had even, consistent bacon coverage through the end of the left overs no matter which direction I sliced. Plus, I think it’s kind of beautiful… in its own bacon-y way. The technique itself was stupid-simple… So, next time you have a recipe that calls for bacon coverage, remember tasting is be-weaving? Weave got a great idea? Whatever joke you want to end on… bacon weaving is a win. *For the curious, the meatloaf recipe I’m in love with is from Cook’s Illustrated. If you don’t know about them, you need to. It is an amazing magazine and is done by the same people who do America’s Test Kitchen. They are rightfully picky about sharing their recipes… but, if you happen to be a subscriber, or have their seminal cookbook The New Best Recipe and are a lover of meatloaf, then check out this recipe. **Apparently, I was also using bobby-pins wrong! Meatloaf Lifehack! Pancake Squares! Or, Everything You Know About Breakfast is a Lie. Quinoa Breakfast Bowl: A Gut Buster… in the BEST Way! 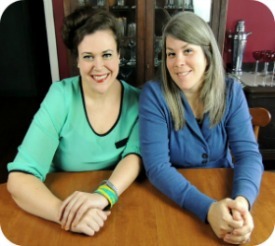 The Pinterest Experiment, Uncategorized, What's Cookin'? 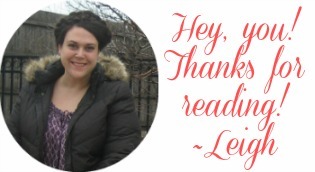 bacon, breakfast, Leigh, The Pinterest Experiment, What's Cookin'?